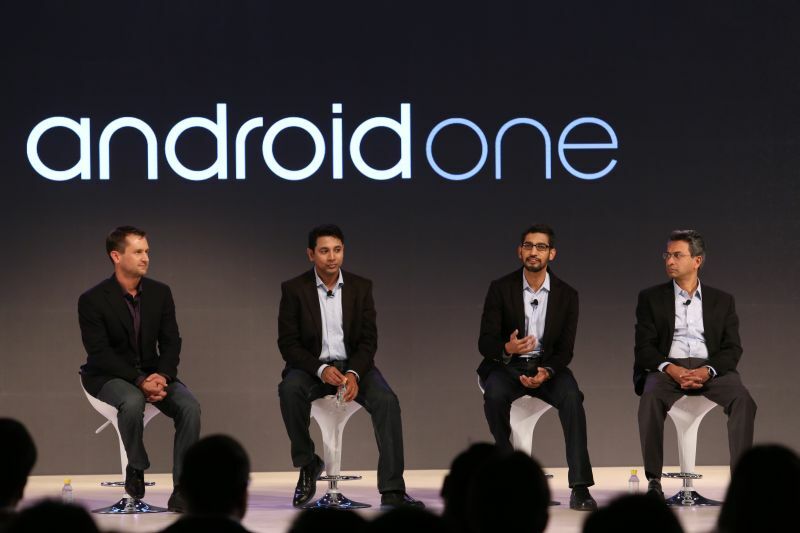 Google has launched its Android One initiative to make Smartphones available for millions. Google works with hardware partners to ship the affordable phones in India. All of these devices run on latest Android 4.4.4 KitKat and soon the phone will get an Android L update. The phones under Android One will get direct updates from Google. The first phones are available in India with hardware partners Micromax, Karbonn, Spice and chipmaker MediaTek, starting at ₹ 6,399. Previously, the direct update from Google is limited to the Nexus range from Google and flagship device from OEM’s. The cheap smartphones left with old OS, no update provides by the hardware partner. The Google want to change this and that’s why they partnered with new hardware providers including Acer, Alcatel Onetouch, ASUS, HTC, Intex, Lava, Lenovo, Panasonic, Xolo and chipmaker Qualcomm to build higher-quality, affordable devices with different screen sizes, colors and hardware configurations. Hardware: Entry level smartphones always get outdated hardware’s which is not suitable to run core Android OS and OEM customization and bloatware further decrease the performance. Software: Still, many people use Gingerbread which is very outdated. Entry-level smartphones never got the future updates. Data: Believe or not people still don’t have the high speed internet connection. In India many people still use 2G. 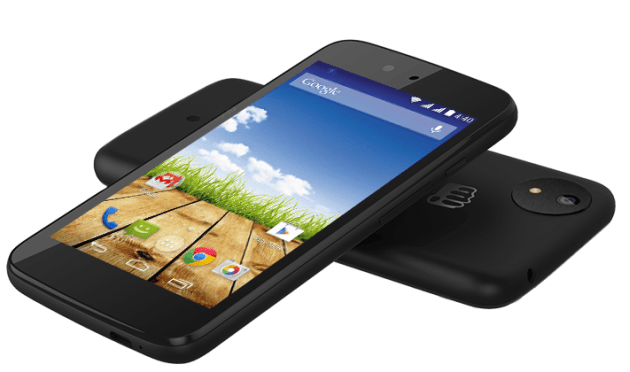 Micromax A1 has 4.5-inch FWVGA IPS display with 480 x 854 resolution, 1.3 GHz Quad-core, 1 GB of RAM, 4 GB of Internal Storage (2.5GB for apps) and up to 32GB Expandable memory. 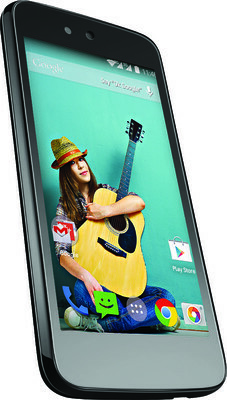 The phone has 5 MP Auto Focus Rear camera with LED Flash, 1080p Full HD Recording and 2MP front camera. The phone runs on latest Android 4.4 KitKat and is powered by 1700 mAh Battery. Karbonn Sparkle V has 4.5-inch FWVGA IPS display with 480 x 854 resolution, 1.3 GHz Quad-core, 1 GB of RAM, 4 GB of Internal Storage (2GB for apps) and up to 32GB Expandable memory. The phone has 5 MP Auto Focus Rear camera with LED Flash, 1080p Full HD Recording and 2MP front camera. The phone runs on latest Android 4.4 KitKat and is powered by 1700 mAh Battery. Spice Dream UNO Mi-498 has 4.5-inch FWVGA IPS display with 480 x 854 resolution, 1.3 GHz Quad-core, 1 GB of RAM, 4 GB of Internal Storage (2.27GB for apps) and up to 32GB Expandable memory. The phone has 5 MP Auto Focus Rear camera with LED Flash, 1080p Full HD Recording and 2MP front camera. 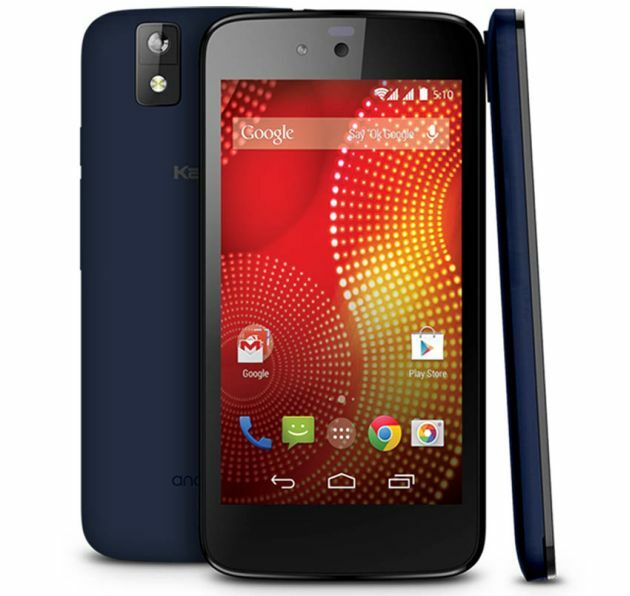 The phone runs on latest Android 4.4 KitKat and is powered by 1700 mAh Battery. Google also plans to expand the Android One program to Indonesia, Philippines, and additional countries in South Asia by the end of the year, with more countries to follow in 2015.